How to lessen the radiation being absorbed by your body? This is one of the problems that people know yet kept on ignoring today. Gadgets were made to make the lives of people even more convenient. Bt people know that these technologies are also giving a negative energies that are affecting today’s generation, and will continue to affect the following generations. It has been a great topic of discussion amongst the scientific community whether cell phones can cause cancer or not. Now, World Health Organization (WHO) has named cell phones a possible carcinogen. It is dreadful for us to imagine a life without cell phones which has become an integral part of our lives. Cell phones, now referred to as “smart phones” have completely taken control of our lives. From shopping online to paying bills, phones come in handy for every little thing in life. So what has to be done now when one of the top health organizations in the world has named smart phones to cause cancer? This linking of cell phones with brain cancer calls for us to analyze how we can minimize the hazardous effects of the radiations that our phones emit. According to the Environmental Working Group (EWG),headsets emit much less radiation than cell phones emit. Using headsets also keeps your cell phone away from your head. The farther away you are from a source of radiation, the less damage it can do. So use an earplug or headset while calling someone because it is a safer option. Cell phones use less energy and thereby emit less radiation when we text than when we talk, says the EWG. Texting also keeps the phone away from your head which is extremely significant. All those text savvy teens are doing well for themselves by opting to text rather than call. Those hour long calls with your friends or family members can prove to be harmful for you. A word of caution: keep calls as short as possible. If you think you have a lot to talk about and the conversation is difficult to avoid, switch to a landline. But don’t use cell phones for those long endless talking sessions because seriously, you both are doing no good to yourselves. Having a problem with your phone connection? You can’t seem to get a signal at a certain place? If you are struggling to maintain a connection, ditch the call and wait until you have better service. When the signal strength is low, the phone has to work harder in order to connect. This means it will emit more radiations which does not sound good for you. You should wait for the call to connect before you bring your phone to your ear because it minimizes radiation exposure. Also, when you are the one talking, tilt the phone in order to keep it away from the ears and bring it close when you are listening. According to EMF-Health.com, cell phones use more power to establish a connection in enclosed metal spaces like cars and elevators. Today’s toddlers are using phone as efficiently as a grown up. Kids are more prone to radiation hazards. Keep your children away from cell phones and make sure they use the landline. 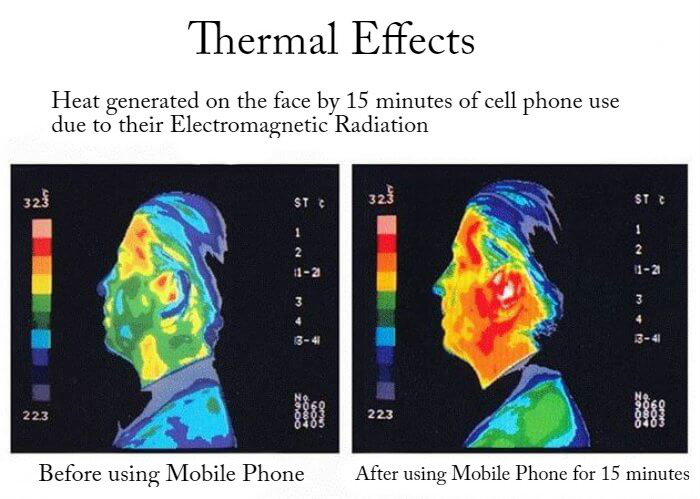 Some cell phones emit more radiation than others. If you’re looking for a new phone, you should check out the phone’s SAR (specific absorption rate), a way of measuring the radiation absorbed by the body. It is listed in the instruction manual of the phone.